Step 1 Roughly chop the jalapeno and the coriander. Step 2 Place all the ingredients into a food processor and blitz. Step 3 Spoon into a bowl and get dipping/spreading! Jalapeno cream cheese dip is a thick and spicy welcome to a crispy cracker. It is simple and quick to make too. This jalapeno dip is just so easy to make. It’s simply throw the ingredients into a food processor, press the button and blitz. Even the Chief Taster could make this with no disaster or kitchen related emergency. 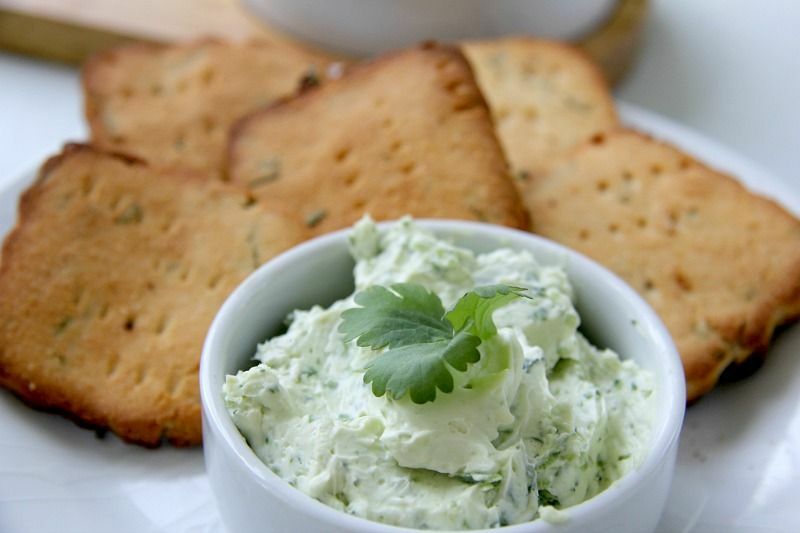 If you have a block of cheese and a few jalapeno in your fridge, you can make a dip! If you don’t like it too spicy, reduce the number of jalapeno. I threw 4 into my dip and it was spicy. Perhaps add one at a time and taste test it if you are a bit nervous of the spice. I find that jalapeno vary in heat. The ones sold in Barbados were mild but the ones in Aruba are a lot hotter.